Fri., July 16, 2010, 8:28 p.m.
Thayne McCulloh on Friday was promoted from interim president of Gonzaga University to president, and becomes the first non-Jesuit to lead the school in its history. Gonzaga’s bylaws prohibit the election of a lay president. But after two years of searching for a suitable candidate, the Board of Members, a group of nine Jesuits that represent the ownership of the university, voted to suspend, not permanently amend, the bylaws, said university spokesman Dale Goodwin. 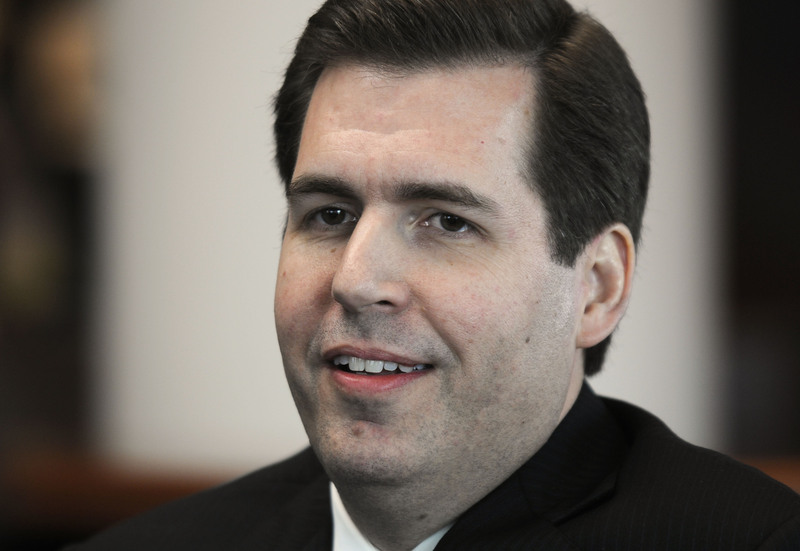 The Board of Trustees, a separate governing body, appointed McCulloh on Friday. Of 28 Jesuit universities in the country, less than half have non-Jesuit presidents, according to the Association of Jesuit Colleges and Universities. Previously Harry Sladich, a non-Jesuit administrator, served two stints as acting president, Goodwin said. But McCulloh’s promotion marks the first permanent appointment of a lay president. This doesn’t mean there won’t be a Jesuit president in the future, but that the Board of Trustees “seized an opportunity to get the best leader possible,” Goodwin said. “Our mission is higher education. We do that with the service of faith and promotion of justice,” McCulloh said this afternoon following the announcement. McCulloh graduated from Gonzaga in 1989 with a degree in psychology. He went on to do his master’s in experimental psychology and doctorate in social psychology at Oxford University in England. As a student, he was involved in residence life and was the student body president his senior year. In his post-graduate time at Gonzaga he taught in the psychology department, served as a director of housing, and dean of student and financial services, among others. “It’s a great day for Gonzaga not only to get a great leader but to get one of our own,” Goodwin said.In the year since he was named interim president to replace Fr. Robert Spitzer, S.J., McCulloh said he asked parents and alumni what made Gonzaga unique. The consistent response, he said, is that Gonzaga has an incredible sense of community, but also instills a capacity for students to form other communities. Board of Trustees Chairman John Luger, said the board recognized McCulloh’s willingness to take on the challenges of his leadership role and promote student-centered initiatives. Community feedback the board received was universal in support of McCulloh’s appointment, Luger said. “Early on we recognized we had an extraordinary person leading. The board came to the truth that Thayne is and should be the leader of the school,” Luger said. Gonzaga also will start the fall with a new Academic Vice President, Patricia Killen, and Earl Martin as the new executive vice president. Published: July 16, 2010, 8:28 p.m.